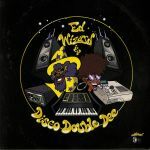 Review: Elusive duo Ed Wizard & Disco Double Dee have been delighting dancefloors around the globe since 2009. 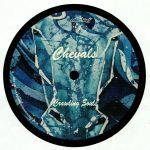 With their signature brand of chunky disco dubs infused with hip-hop flavours and a slow mo house feel. 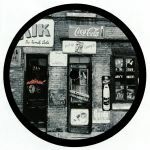 They have had dozens of vinyl releases on great labels around the globe like Whiskey Disco , Disco Deviance, Paper & more in addition to having their tracks played by the likes of Soul Clap and Derrick Carter. Not to mention being remixed by legend Greg Wilson, so these guys definitely have credentials. With no plans to slow down , they now drop the "Slo-Mo Disco" LP on the mighty Editorial Records this summer. A perfect way to light up any daytime disco pool party, BBQ or dancefloor! Review: Editorial Records return with more disco infused flavours from around the world. These four nice and slow re-edits are sure fire weapons for any disco DJs crate. 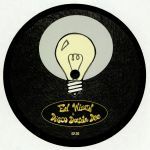 Ed Wizard and Disco Double Dee take on Brass Construction much like Venus did on Sunshine People 15 years ago for another nice re edit. Matt Hughes' "Sunshine" is an equally good effort; wait for the drop! "Pimp Talk" by The Owl retains the sleazy grooves of the original and Rahaan's take on fine boogie workout 'Feeling Fine' does the business, as always.